How Can I Go AH Insurance Services, Inc.? 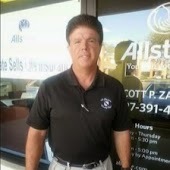 Where is AH Insurance Services, Inc. in Seminole on the Map? Categories of AH Insurance Services, Inc. 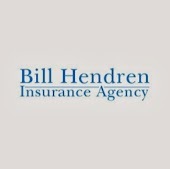 Reviews for AH Insurance Services, Inc. Yesterday Andrew spent several hours helping me to do the Form 8962 (PTC). Even before he had breakfast! This is typical of his extra care kind of service. He always goes the extra mile to help me to select the best HMO choice each year. And each time I call, he promptly returns my call. I rate him the BEST. I found Andrew through a Google search when I was searching for health insurance in the Tampa Bay area. He was courteous enough to meet with me on the weekend to find out what my needs were and priced out my policy based on 2-3 different options. I was very happy with the way he handled my case because not only did he fill out all the necessary paperwork for me, he also went a step further and called the insurance companies to find out what other paperwork would be needed to get accepted. He also handled faxing missing paperwork for me while I was busy at work. Andrew was a top-notch insurance professional all the way throughout the process and I highly recommend him if you need insurance. Andrew helped me find the best carrier given my family medical history, and even found a rate class better than I'd expected. Also, he did this during a time of the year when my work exhausts nearly all of my free time. So, he filled in when I forgot to submit forms and documentation, or couldn't return phone calls from the home office. Great working with Andrew.